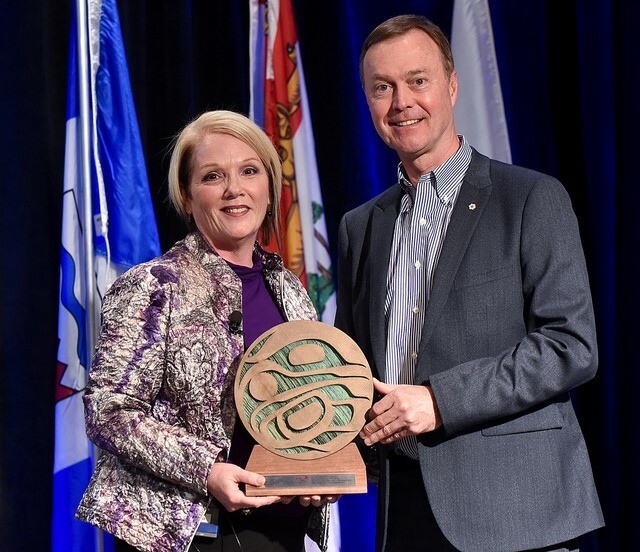 The Governor General’s Canadian Leadership Conference – which has over 2000 alumni – began in 1983 but its roots go back to efforts to improve the quality of leadership over 60 years ago. 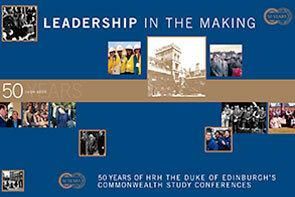 The first Commonwealth Study Conference was held in the UK in 1956. It was, in the words of its founder, HRH The Duke of Edinburgh, “an extraordinary experiment”. It set out to provide an opportunity for high calibre people from many different countries and all walks of life to leave behind their usual roles and, together, examine the relationship between industry and the community around it. The purpose was not to produce high sounding resolutions and weighty conclusions but to challenge the participants’ assumptions and prejudices; to give them the chance to examine real situations and the issues arising from the interaction of businesses, their employees and the communities in which they operated. The members were, at Prince Philip’s insistence, to be “people who appeared likely to be in the next generations of leaders so that when the time came for them to take important decisions they would have the benefit of what they had discovered on the Study Conference to help them”. A number of people helped shape the final format of that first Study Conference and were delighted to find that the “great experiment” was turned into a continuing series of Study Conferences by those who found the experience so valuable themselves that they wanted to make it available to subsequent generations. Further Conferences were organized every six years. In 1981, Canadian alumni from the 1980 Commonwealth Study Conference met with then Governor General Edward Schreyer to propose he become Honorary Chair of a uniquely Canadian Study Conference. The Governor General agreed, and the first Governor General’s Canadian Study Conference was held in 1983. William Daniel of Shell Canada was the first Conference Chair, in 1983. He was followed by Claude Taylor (Air Canada), John Cleghorn (Royal Bank of Canada), Paul Tellier (CN Rail), Eric Newall (Syncrude Canada Ltd.), Paul Desmarais, Jr. (Power Corporation of Canada), Richard George (Suncor Energy), Annette Verschuren (NRStor Inc.), Lorraine Mitchelmore (Shell Canada) and Donald R. Lindsay (Teck Resources Limited). While the Canadian Conference continues to focus exclusively on Canadian members and issues, the overall process has remained intact. Each Conference Member is selected to attend as an individual, not as a delegate representing an organization or sector. They continue to be people who are judged to have acquired considerable occupational experience in their chosen fields, and in many cases are likely to achieve positions of influence. Approximately 35% of the members were from corporate management and unions with the balance from public administration and the community sector. Each Study Conference follows the same basic format of short introductory plenary sessions followed by Study Group tours and closing sessions to which each group reports back with its impressions and observations. Each Study Group is a reflection of the diversity of the whole membership. The Study Groups each tour a specific region of Canada to look at the interaction between industry and commerce and the community through a series of locally planned visits and discussions. The Study Group must try and reach a group view of what they have seen to present to their fellow members at the closing sessions. Reaching that consensus is where the real work of a Study Conference takes place. Anyone who genuinely engages in the process will find their most basic assumptions challenged and themselves giving consideration to entirely new perspectives on a whole range of issues. Although the basic structure has not changed since 1956, changes have been made in the light of experience and comments from members. The first event was three weeks and 300 participants, but with greater time pressures and leaner organizations, this was reduced to approximately two weeks and 250 members. For the 2004 Conference, the name changed as well – reflecting the fact that these Conferences are ultimately about LEADERSHIP. For additional information on the Conference history, please visit the spirited presentation by Malcolm Metcalfe, LVO, and first Executive Director of the Canadian Conferences, who also has been involved in every Commonwealth Study Conference since 1974.